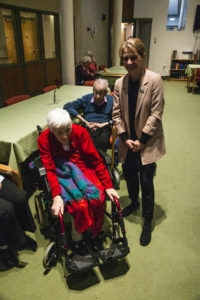 Bridgemead residents were delighted to welcome Bath’s MP, Wera Hobhouse on 14th February. 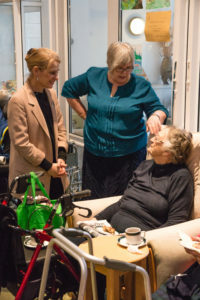 Wera understands the importance of excellent care for older people, having personal experience of her mother caring for her grandmother and her father over a long period. 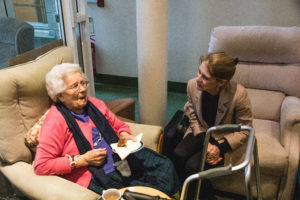 Wera said: “I have learnt how important it is to be patient and to enjoy what life there is.” She was very impressed that Bridgemead offers respite care, one of the only care homes in Bath to do so, to give carers a well deserved break. 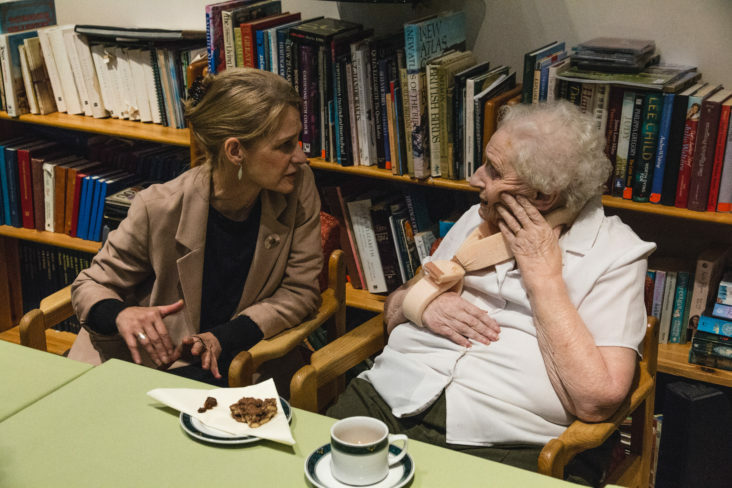 Wera stressed the importance of good local services for local people, rather than anonymous big business taking on this work.